Vancouver float plane tours give you an opportunity to see not only the magnificent Vancouver skyline perched on the edge of the Pacific Ocean. They also give you a chance to see just how close the city is to the wilderness. Depending on the float plane tour you choose, you’ll see panoramic views of Vancouver, the North Shore Mountains, the Burrard Inlet and Strait of Georgia, the Gulf and San Juan Islands and the Sunshine Coast. Flying in a float plane nothing like flying in a large aircraft. You’ll take off and land in the water, and as the pilot is right in front of you Seeing the pilot and flying low is thrilling and comforting at the same time. We work with the largest sea plane fleet in the world, so we offer plenty of float plane tour options and opportunities. Vancouver Panorama Tours – Three Panorama tours are available: 10 minute, 20 minute and 35 minute. These tours give you a chance to see the city, the Coast Range mountains, the Pacific Ocean, the Gulf Islands, the Sunshine Coast and the vast wilderness that spreads out from Vancouver. Victoria Fly and Ferry– This all day package is really perfect. You take off from Vancouver’s downtown harbour by float plane for a 35 minute flight into Victoria’s Inner Harbour, 5 minutes from the world famous Empress Hotel. Flights leave Vancouver for Victoria every 20-30 minutes. Once you’ve had a chance to explore Victoria, visit the Butchart Gardens (optional), go whale watching (optional) and/or enjoy High Tea at the Empress (optional), you’ll board a bus in Victoria for the 40 minute drive to the ferry terminal at Swartz Bay for your return to downtown Vancouver. The fastest and easiest way to visit Victoria for the day, this package includes round trip flights by float plane from downtown Vancouver to downtown Victoria in the morning and a return flight, downtown to downtown at the end of the day. The Mail Run – Ride along with the locals on a scenic flight from Vancouver Harbour over the Gulf Islands before landing in the seaside village on Saltspring Island. Hop off onto the island for an hour or the day and stroll through some of the quaint shops before returning on another scenic flight to downtown Vancouver. Read More…>. Victoria Whale Watching – The best place to see whales is in the waters off of Victoria, and what a sight they are to see! You can either go out on a covered boat that has outdoor access from the top or back, or go on an open Zodiac. The covered boat has restroom facilities and offers coffee or tea service. 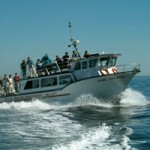 Each adventure is complimented by the expertise of local marine naturalists and biologists, providing commentary and educational information about our marine eco-systems and their unique inhabitants. Zodiac Fly and Dine– This 5 hour afternoon experience (beginning between 12:00 – 3:00 PM, depending on the season) includes pick up at your hotel, transportation to Horseshoe Bay, a 30 minute scenic drive from downtown. When you reach Horseshoe Bay, you will dress in Expedition suits for your two hour guided nature tour by Zodiac, a 12 person inflatable, open boat. At the conclusion of the tour, you’ll shed your expedition suit and stroll to Doc Morgans for an early three course dinner including your choice of appetizer, entree and dessert.